BOLDENONE UNDECYLENATE is an oily solution of boldenone undecylenate for IM injection. 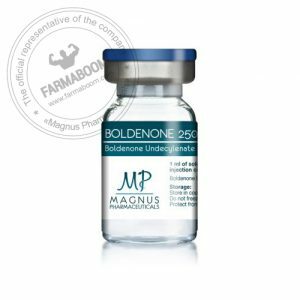 Boldenone Undecylenate 250 is designed to release boldenone slowly from the injection site. Boldenone serum levels will remain elevated for 5 to 8 days after administration. 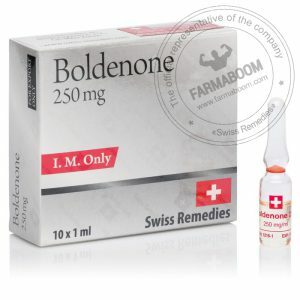 Boldenone is an anabolic steroid possessing anabolic properties with moderate androgenic activity. Anabolic and androgenic agents are widely used in the treatment of catabolic processes where accelerated strength and muscular development are indicated. CAS number: 13103-34-9. Dosation: 2500mg/10ml. Boldenone undecylenate is an extremely versatile drug and, as such, combines very well with other steroids. An example of a great mass building stack would be 300-400mg/week of Boldenone undecylenate with 500mg of Sustanon or Testosterone Enthanate. For mass building purposes it can also be effectively stacked with Anadrol. This would result in significant gains in strength and mass without the additional side effects that would result from using the androgen alone. 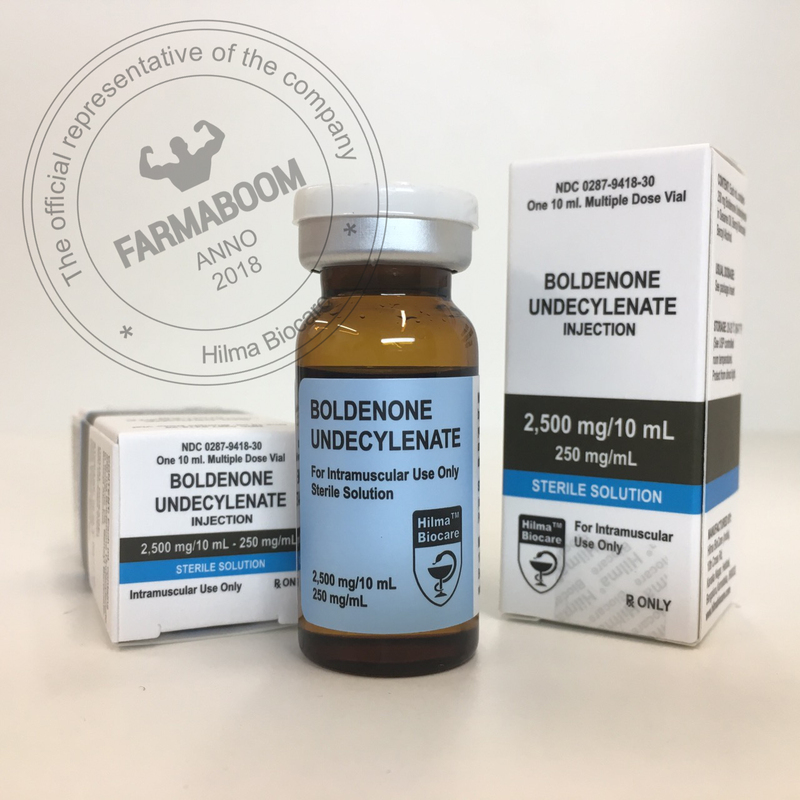 In terms of its use as part of a cutting cycle, Boldenone undecylenate combines very well with non-aromatizable steroids such as Trenbolone acetate or Winstrol. However, even the extremely low aromatization rate of these substances may be enough to cosine usage to bulking cycles only.